While most of the school has been enjoying a well deserved spring break, the farm has, after the long, wet winter simply been enjoying a well deserved spring time. The sheep and lambs have enjoyed the sun and the fresh grass. But, for the heavily pregnant ewes the weather has sometimes been a bit too good, on the warmer days they have been seen seeking cooler shady places to rest. They are, however, due to lamb in the next few weeks – relief for them, of sorts. 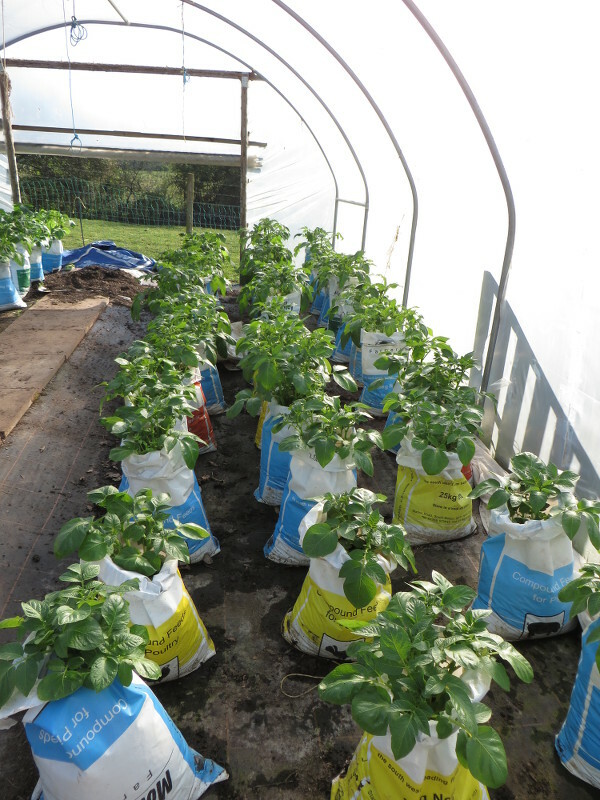 In the poly tunnel the early potatoes have grown amazingly fast, we should have new potatoes by the end of May. 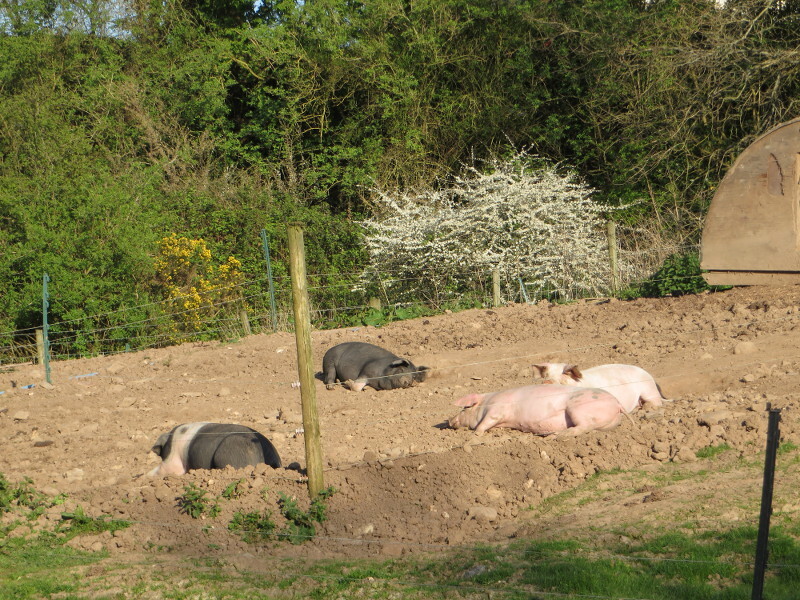 The outdoor paddocks have quickly dried out and the pigs enjoyed the dry ground and warm sun. 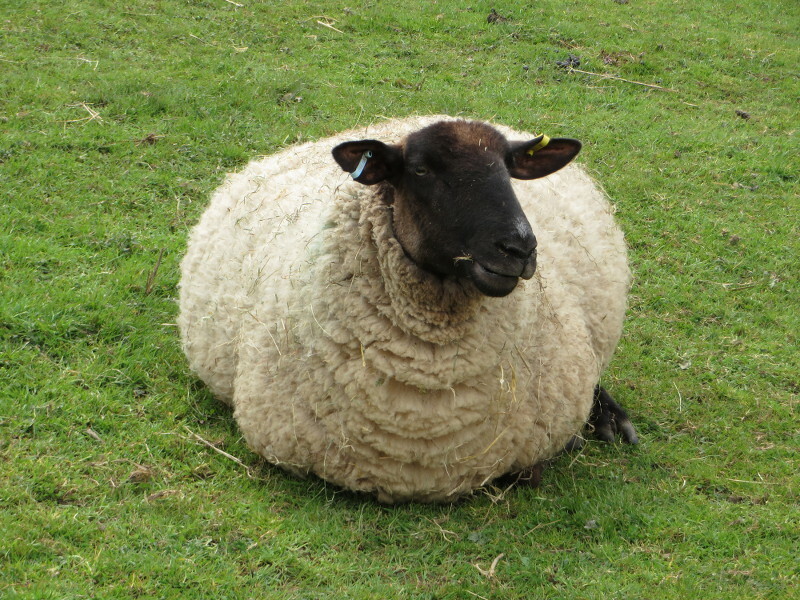 But, sadly, one of our ewes has died. We are not entirely sure why, most likely she may have had ‘twin lamb disease’, less likely a sudden illness, or some other unidentified ailment.